You can buy tickets for all of our games in the Spring Series on the gate. However, if you want to purchase in advance, you can do so at the above link. 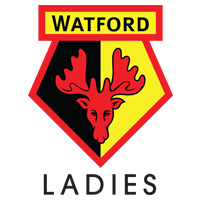 If you are a Watford FC or Kings Langley Season Ticket Holder, you will receive 50% off entry. Gate Opens 60 minutes before kick-off, so 2pm for 3pm kick-off. There is covered seating available on a couple sides of the ground, but otherwise uncovered. We offer a friendly family oriented atmosphere. There is food and drink facilities plus toilets within the ground, and a good bar with Sky Sports in the clubhouse. We welcome your custom inside the ground and in the clubhouse during the matchday experience. After the match players & officials will share post match hospitality in the clubhouse, and fans are welcome to hang out with us. There are roughly 80 parking spaces at the ground. If the car park is full, parking is available outside the ground. 1.1 If you elect to purchase a ticket or tickets from the Website you will be required to present your e-ticket (or season ticket card) upon entry to ground. You will be required to present a form of identification proving you are the ticket purchaser. We reserve the right to refuse entry if a suitable form of identification (driving license, passport or credit/debit card) is not presented. 1.2 A Home Match Ticket permits you ‘general admission’ to the ground stated on the confirmation receipt/email of purchase. All access to the Ground pursuant to a Home Match Ticket shall be for the purposes of private enjoyment of the Match only, not for any commercial purpose (and no authorisation is given or implied in respect of the carrying out of any commercial activities). 1.3 The Home Match Ticket is issued for your sole use and you shall not sell, dispose of, assign,transfer (save as set out in paragraphs 3.3 and 3.4 below) or otherwise deal with the Home Match Ticket or the benefit of it to any other person without the prior written consent of the Club. Further you shall not use the Home Match Ticket for any commercial purpose. The reference to selling the Home Match Ticket includes: (a) offering to sell a Home Match Ticket (including, without limitation, via any website or online auction site); (b) exposing a Home Match Ticket for sale; (c) making a Home Match Ticket available for sale by another person; (d) advertising that a Home Match Ticket is available for purchase. In addition to the two categories listed above we also sell U18 season tickets for £5. The above list will continue to be added to over the course of the season. Watford Ladies season ticket holders will also receive 50% off entry at Kings Langley FC matches during the 2017/18 season.